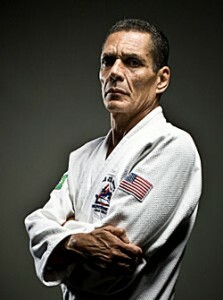 The 2nd oldest son of Helio Gracie, Relson Gracie moved to Hawaii in 1988. He began learning jiu-jitsu at 2 and entered his first competition at the tender age of 10! He was the Brazilian National Champion for 22 years straight, and during this period went undefeated in his weight and the open weight division. He became so popular that he attained the nickname “Campeao” or “Champion” among his friends and fans. Relson represented his family’s style in the rough streets of Rio de Janeiro against all challengers. He at this time he was considered the meanest of the Gracie Representatives. There are still stories circulating in Brazil about some of the challenges Relson answered. Relson’s style of Jiu-Jitsu is submission based and is best suited for self-defense. Relson, as a Master of Jiu-Jitsu, still follows the correct promotion standards his father set. Relson’s style of instruction is very detail oriented and technical. He is the only person ever to have two students that train under the same roof to close out a division of the World Championships by taking first & second place. Relson has helped train some of the best fighters in the world & most respected Jiu-Jitsu practitioners. Upon his arrival to Honolulu, Relson had to prove the effectiveness of the Brazilian Martial Art to the locals. This would be a tall order for anyone. Hawaiians are usually large and tough warriors and there is a huge military population on the island. It was with great pleasure that Relson introduced the art of Gracie Jiu-jitsu to the Aloha State. He now has trained Honolulu Police Department, all the U.S. Military forces, the Secret Service, the D.E.A. the F.B.I. and more. Now retired from competition, Relson continues to enjoy teaching classes in Hawaii and at his associations across the Nation. He has become quite fond of the island life. Each week you can find Relson at Sandies beach or at a B-B-Q when he is not on the mats.